I don’t know about where you are but in my part of the world fall weather has surely turned to winter and I am simply not ready for it. However, this morning I get to sit with my coffee and peruse the gorgeous images in the Mortal Muses Film Friday Flickr pool. The theme for today’s mosaic is In and Out. 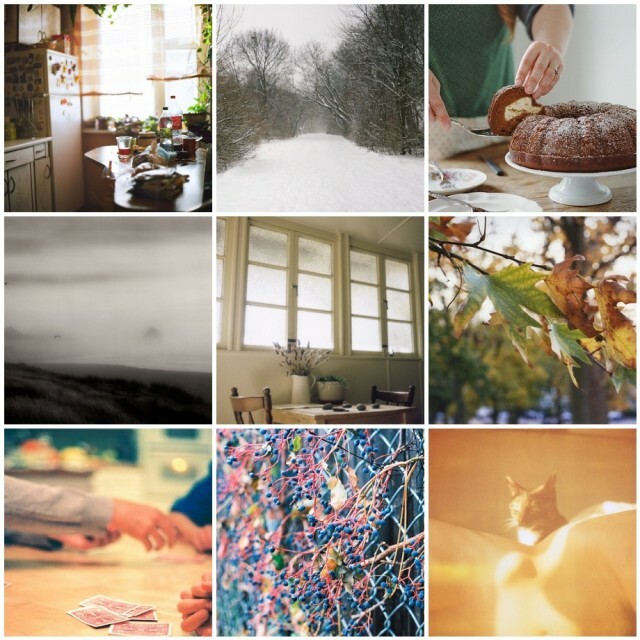 Whether you are enjoying the weather outside (wintery or otherwise) or, like me, curled up and cozy inside, these images should provide some inspiration on this Sunday. Enjoy.